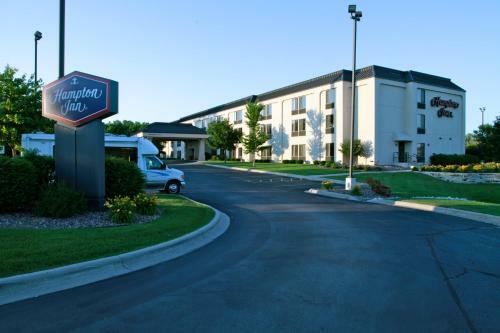 The free airport shuttle is one of the many cost-cutting enticements at Hampton Inn Milwaukee - Airport. Other free extras include a breakfast buffet Wi-Fi connections and parking. 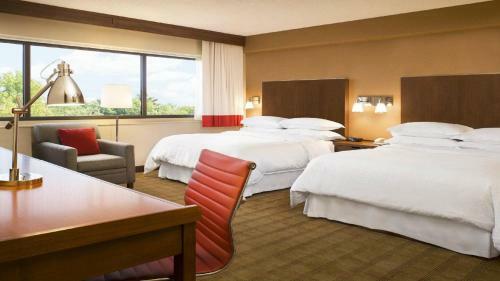 Three-story Hampton Inn has 104 rooms with extra-thick mattresses high-end linens and your choice of pillows. 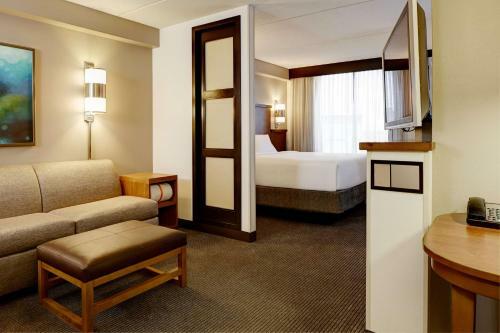 Get work done at the large desks with ample lighting and ergonomic chairs with free high-speed wireless internet. There are also complimentary lap desks. The hotel serves a free continental breakfast daily featuring French toast sausage links and scrambled eggs. There's always coffee brewing in the lobby. 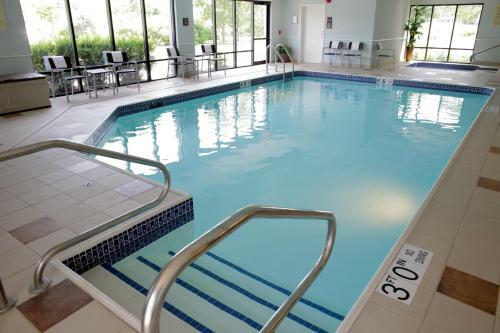 Other amenities include a fitness room with cardio and strength-training equipment and an indoor pool and hot tub. Take the free airport shuttle from the lobby. Parking is free. 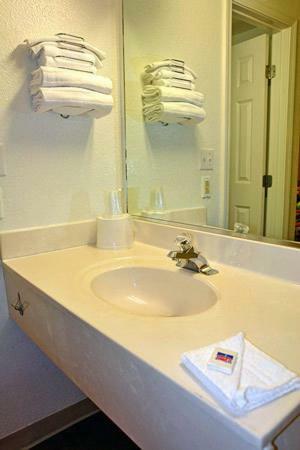 Hampton Inn is three miles from Mitchell International Airport. The Milwaukee Art Museum called one of the new century's most important buildings is less than 10 miles away as is the technologically advanced Discovery World. 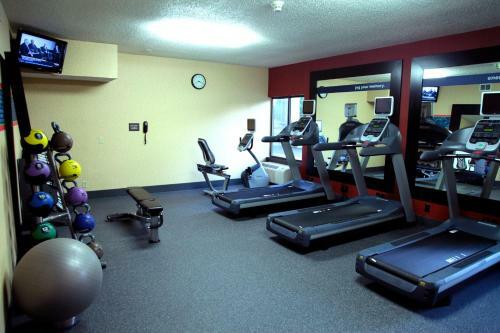 Sports enthusiasts will enjoy visiting nearby attractions like Miller Park Milwaukee Mile (world's oldest operating motor speedway) and the U.S. Cellular Arena all within 10 miles of the hotel.